The hostname is the label assigned to a device on a network – a desktop computer, database server, tablet pc, wifi router, or smartphone. This name is used to distinguish the devices from each another on a specific network or over the internet. Mostly, the chosen name is human-readable, and has to be unique among the other machines in the local network. Hostnames must not contain a space since they can only contain letters, digits and a hyphen. In institutions with a large number of users like universities it is quite common to name a computer after fruits, favourite places, greek letters, geographical regions, or musical instruments. For private networks there are no name conventions to be followed, and hostnames like “FamiliyPC”, “dads-tablet”, or “printer” can be found. 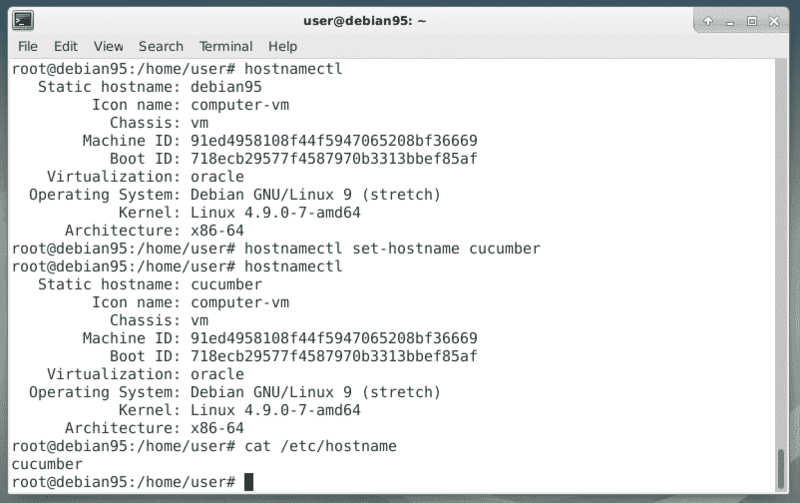 The computer’s hostname is set initially during the installation, and stored in the file “/etc/hostname”. 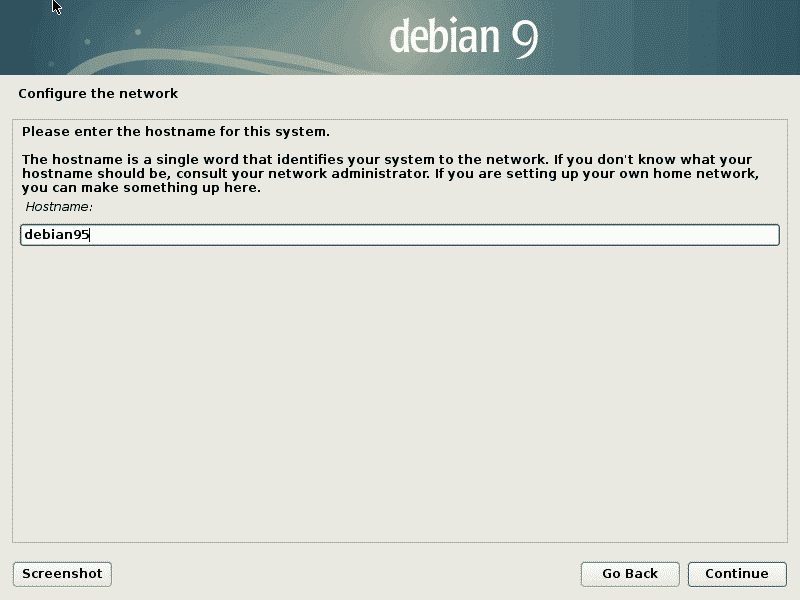 The screenshot below is taken from the graphical setup of Debian GNU/Linux 9, and uses the label “debian95” as a hostname referring to the release of Debian GNU/Linux 9.5. The picture below illustrates this step using “hostnamectl”. Et voila – it worked well. The final step is to check your applications according to the list above. The referring page in the Debian Wiki  gives you a good overview what to do with each application, and shall work as a reference guide for you.